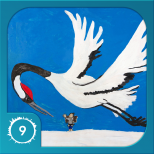 The Grateful Crane was first released in March 2013 in the Amazon App Store as well as in iTunes, targeting kids ages 5-8. 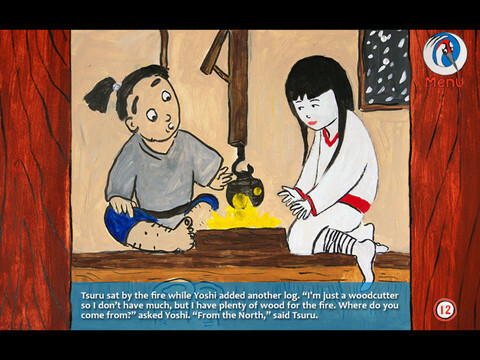 It was developed in partnership with Dream Sequence Productions with the goal of bringing a classic japanese folktale to digital life in the form of a storybook app. We developed it first for Android, and then used Unity to port the app to iOS, which means that our story can be enjoyed by more young readers through more platforms, which is super exciting to us. 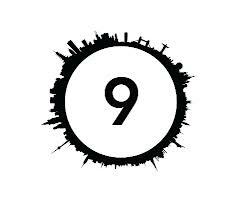 The whole process took around 5 months in total, including creative concepting, storyboarding and art development. In terms of features, we love the fact that kids that are learning to read can use the read aloud feature to have the story narrated to them, and can really immerse themselves in it while learning to read at the same time. Here comes the Kamishibai Man! A popular form of storytelling in Japan from the 1930’s through the early 1950’s, Kamishibai is believed to be an inspiration for manga and anime. The Kamishibai performer traveled by bicycle, making his living telling stories and selling candy to children. To illustrate the stories, he displayed images in a small wooden theater attached to his bike. 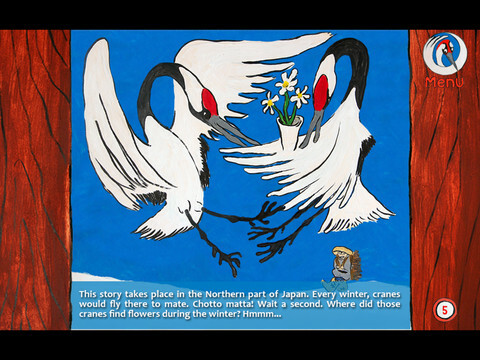 In this Kamishibai ebook, the theater is in the hands of the reader as the story of The Grateful Crane unfolds. 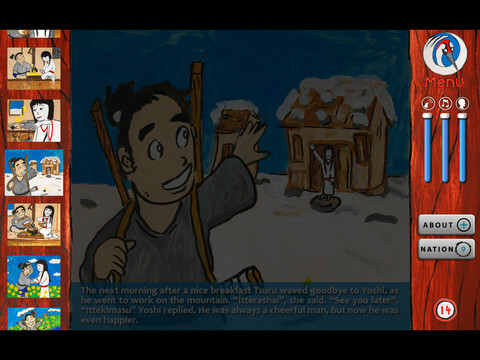 The images from the story come alive in interactive animation and optional text as the narrator spins this classic tale over a lively piano soundtrack. 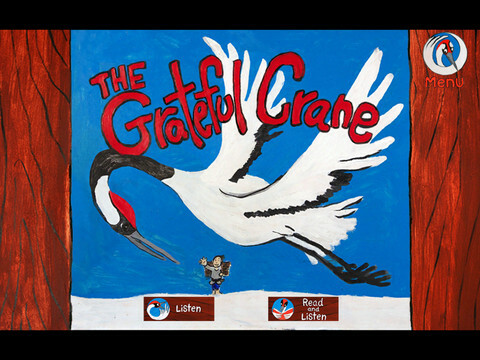 In this version of the traditional Japanese folktale The Grateful Crane, Yoshi the woodcutter frees a crane he finds trapped in the woods. Shortly after, a beautiful and mysterious young woman named Tsuru visits him at home and becomes his wife. Tsuru makes Yoshi promise that he must never watch her as she weaves extraordinary cloth that everyone wants to buy. Will Yoshi be able to keep his promise? This charming tale is educational and entertaining, exposing young readers -and non-readers through read aloud feature- to Japanese words and culture in a relaxed and humorous style.